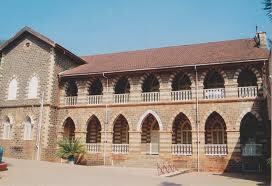 At around 4.30am on Friday some miscreants pelted stones at the gate of the St Joseph’s Convent School in camp area. A new gate was recently installed and has been damaged. This was the ninth attack since 17th January this year and repeated requests have been made to the police in this regards. Yesterday again a memorandum was given to SP Sandeep Patil. Seems the miscreants dont have the guts to do their nefarious activities in full light. hence the cowards do this only at night. what is the police doing about this ? CAN SOME BODY TELL ME WHAT IS GOING ON WITH SUCH A REPUTED ORGANISATION. MAY IT NAY BODY SERIOUS ACTION SHOULD BE TAKEN. What is the factor for Prejudice? what do people have against such decent organisations ?